Yesterday I went on another walk from my book, Circular Walks On The Tuscany Umbria Border, this time it was the Etruscan Tomb Short Walk. 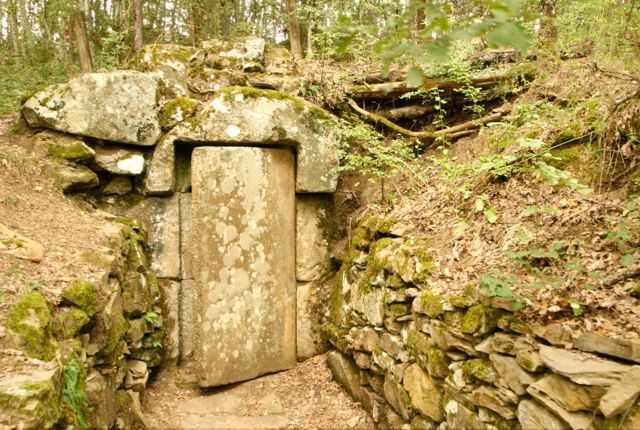 As the name suggests, the focal point of the walk is an Etruscan Tomb known as the Tomba del Faggetto, it’s hidden deep in the woods at the top of a long ridge. 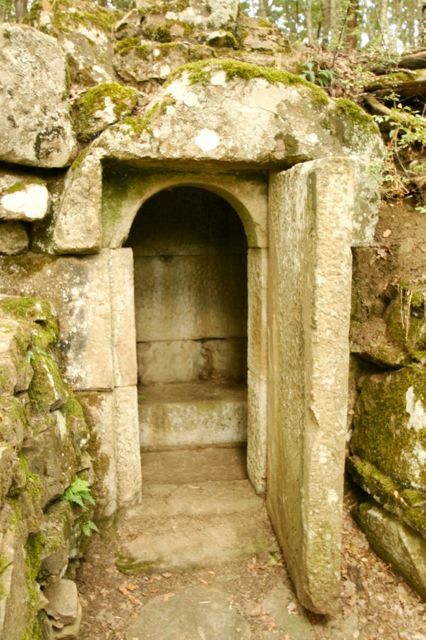 The craftsmanship used to build the tomb is incredible, the door, a huge stone slab, still opens and closes. Bodies would have been cremated and the ashes placed inside the tomb in square stone containers, often with intricate carvings on the exterior. 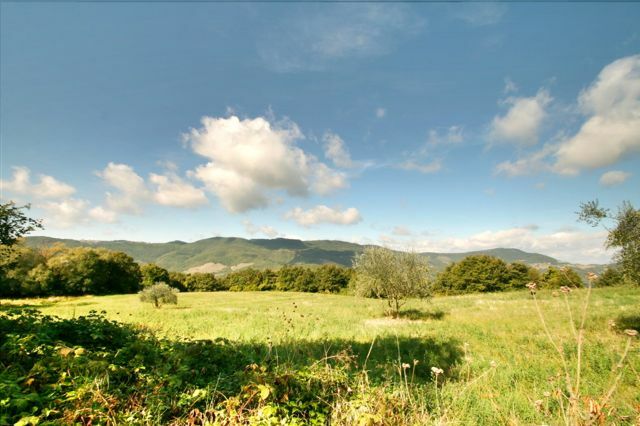 Along the way there are marvelous views across the Umbrian countryside and Monte Tezio and Monte Acuto are both nearby. 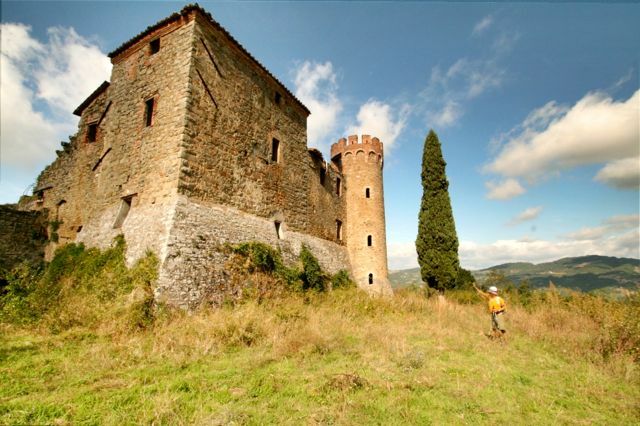 There is also an abandoned castle that would make a very good restoration project for someone with several million euros going spare…. The walk takes around two and a half hours, apart from the steep five minute climb up to the tomb, it is a relatively easy route.